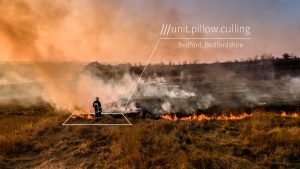 British technology company what3words has announced the rollout of its innovative location technology to a number of emergency services across the UK. After successful piloting, Avon and Somerset Police, West Yorkshire Police, Humberside Police, Cambridgeshire, Hertfordshire and Bedfordshire fire and rescue services and the British Transport Police are rolling out what3words to respond to incidents more effectively. Using three-word addresses gives callers a simple way to describe precisely where help is needed and allow these forces to get resources straight to the scene. what3words has divided the globe into 3m x 3m squares and given each one a unique three-word address – ///kite.chats.dine, for example, will take you to a precise spot in a field next to the River Ouse in York. The app is free to download for both iOS and Android, or by browser, and works offline – making it ideal for use in areas with an unreliable data connection. The three-word address format is also consistent anywhere in the world, and available in 26 languages. Emergencies can happen anywhere, from a road collision in the middle of Hertfordshire countryside to an incident outside one of the gates at Wembley stadium. In an emergency situation, identifying precisely where help is needed is critical – and this can be near impossible if you are in an area with no address or if that address isn’t good enough to describe exactly where you are. For example, post codes can apply to areas over one mile square and in London alone there are 14 Church Roads. If you didn’t know where you were you might turn to your phone to try and locate yourself via a pin on a map – but imagine trying to describe your pin to someone over a 999 call. In these moments, emergency services are forced to waste precious time and resources just trying to locate the person in need of help. At best, this can be frustrating, and at worst waste crucial minutes that are the difference between life and death. Now, in an emergency where a location is difficult to describe, callers are able to give their three-word address from the what3words app. In the case of police forces, call-handlers are also able to send an SMS that contains a link to the what3words browser map site, where they can see their location and read the corresponding three-word address. In either instance, these three words can then be used by the control room to identify the precise location and direct resource to exactly where it is required. Prior to using what3words, heavy resource would have to be dispatched – such as a helicopter fly-over or multiple units being allocated to search a rough area – in order to locate the incident. The solution can be particularly effective for emergencies in rural locations like farms, beaches, coastline or moorland where it can be complex, imprecise and difficult to communicate location without any addresses or points of reference nearby. And even in a well-addressed town or city, the person in distress may not be familiar with their surroundings, or able to share a location with accuracy. what3words is now being rolled into training days so supervisors, handlers and responders are ready to use three word addresses as effectively as possible. Other blue light services across the country, including Bedfordshire Police, Cambridgeshire Constabulary and Hertfordshire Constabulary are working alongside what3words to pilot the approach and work to begin using it as a part of their response in local areas. The technology has previously been used at festivals like Glastonbury with Festival Medical Services and for disaster relief around the world by the Red Cross and the UN. It can also be used effectively as a way to share location consistently between blue light and specialist emergency services – for example between fire, police and ambulance services but also with the National Police Air Service, HM Coastguard, search and rescue and special operations teams. what3words is available to download as a free mobile app for both iOS and Android – look for the red icon with three white slashes.